Alcohol and Super Bowl Sunday seem to go hand in hand. This yearly event is just as deadly as other occasions that lead to a rise in drunk driving accidents, injuries, and wrongful death. 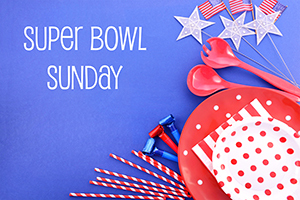 Super Bowl Sunday is as dangerous as Cinco de Mayo, St. Patrick’s Day, New Year’s Eve, and the Fourth of July according to the National Highway Traffic Safety Administration. Know Your Limits: The adage of one drink per hour and you’re fine to drive is faulty. If you’re drinking more than one or two drinks during the game, you should consider asking a sober friend for a ride home or use a Taxi, Uber or Lyft to get home safely. Have a Plan: If you plan to drink heavily to celebrate your teams win or mourn their loss, have a plan to get home. That could be a sober driver, rideshare, taxi, or public transit. Keep an Eye on Your Friends and Family: Just because you know your limits, doesn’t mean those around you know theirs. Make sure your loved ones, or anyone for that matter, don’t drive home drunk. If you or a loved one has been injured in an auto accident involving drunk driving, please contact our accident attorney in Ft Myers today at (833) 546-3675. Our “Jim for Justice” can help you through the claims process and ensure you’re compensated for your injuries, property damage, and pain and suffering. The Kelleher Firm serves clients in the Fort Myers area of Southwest Florida including Naples and Cape Coral.